The Cape Verde flag is one of the youngest flags in Africa. It is also one of the most unique flags, since it does not display the Pan-African colors or the colors of a European nation. It follows in the footsteps of a flag that did display the influence of the flag of Portugal, that nation that ruled over Cape Verde until it gained its independence in the decades following the second world war. 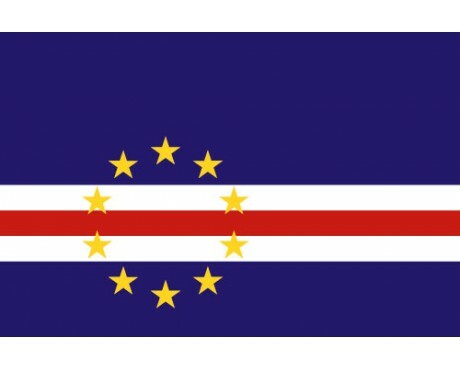 The changes gave the Cape Verde flag meaning that it did not have while it maintained its connection to the traditions of Europe. The Cape Verde flag stands out from most of the other flags in the world due to its unusually complex design. The flag has a dark blue field with a horizontal stripe of white that is offset slightly below the center of the flag. The white stripe is bisected by a thin stripe of red. 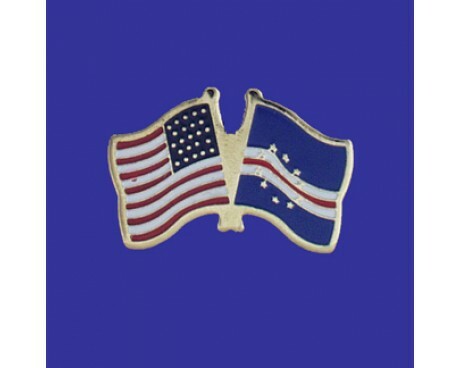 A ring of ten golden stars that is slightly offset towards the hoist serves as the flag's emblem. 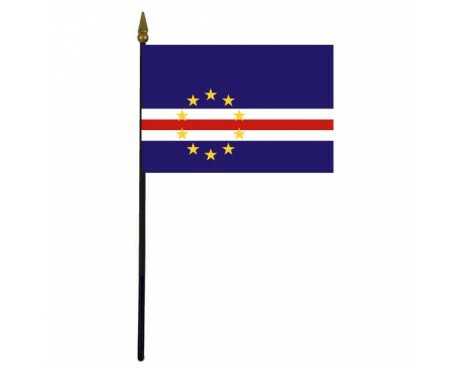 The flag's colors and emblem give the Cape Verde flag meaning as a symbol of the nation and its independence from Portugal. 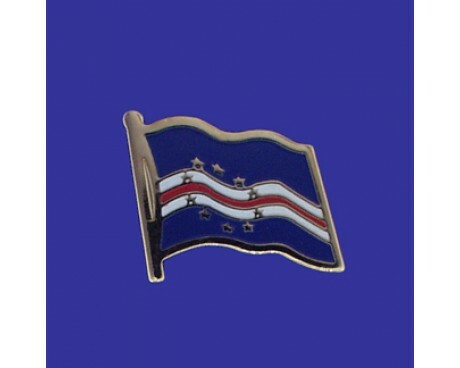 The ten stars represent the ten islands that make up the country of Cape Verde, while the blue field represents the ocean that surrounds the islands and the sky that stretches above them. The white stripe is a symbol of peace, while the red stripe is a symbol of the effort that it took to build the modern nation. The flag of Cape Verde is also unusually in that it does not have any formally designated dimensions. The size of the stripes and stars are designated relative to the size of the flag, but the flag can be made in any length and width. The vast majority of flags are constructed in a 2:3 ratio, but that is not a legal requirement. Cape Verde represented itself with the flag of Portugal until it gained its independence for Portuguese rule in 1975. That flag featured the red and green of the Pan-African colors, but those colors were also used by the flag of Portugal, so it maintained a link to their colonial past. It also featured black and gold portions which emphasized the nation's African heritage without maintaining a connection to the flag of Portugal. It fell out of use in 1992 due to a conflict with Guinea-Bassau, which led to the adoption of the current flag of Cape Verde.